Sea Horse – Orocrea Jewerly s.n.c. A golden thread that draws sea horses from your ears. 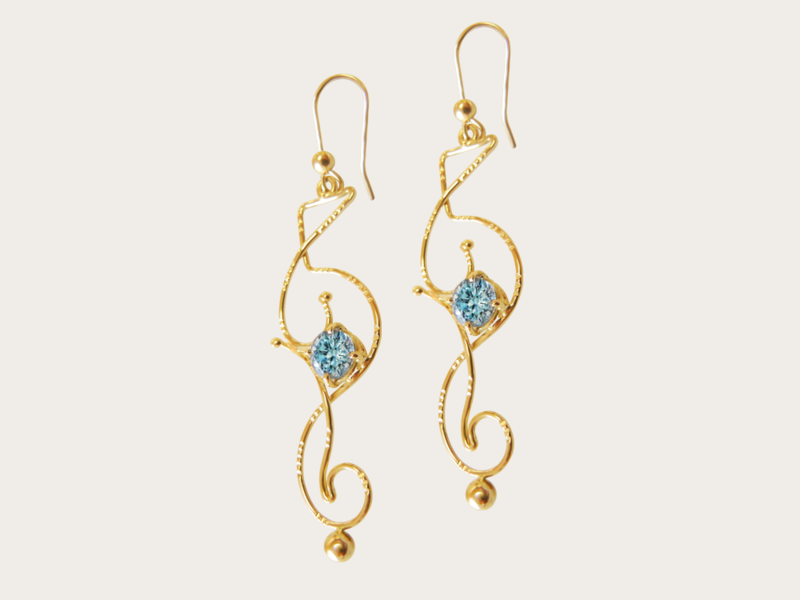 If a golden thread were to dance to express femininity, it would be in the form of the seahorses depicted in these beautiful earrings. The shimmering aquamarine gem forming the head of a seahorse is crowned by the sacred language symbol for femininity. These magnificent earrings epitomize the lightness and joy of the feminine . All earrings by Oro Crea facilitate dreams and imagination.